On the the one side offense of this command is and extreme use of it. This use is that of accusing anyone who has a cross with a representation of Jesus on it. One can have said crucifix and have it as a reminder and a teaching of what Jesus did for the sins of the world. This remembering is not necessarily a worship of the image or the cross. This offends believers in Jesus for if he or she does not have a physical crucifix one exists in the mind. 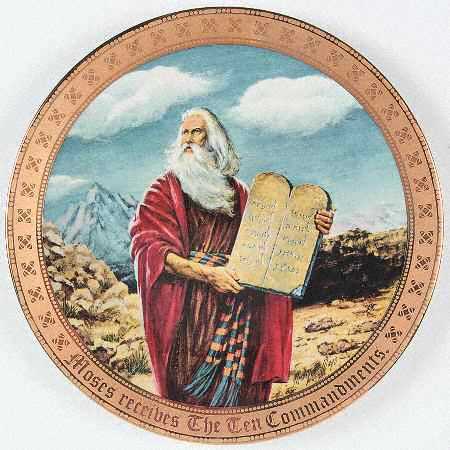 This takes the law of God and in the stead makes it a command of men. On the other side of the offense we have the lack of teaching of what would be included in the prohibition of the image and service of the false god. One will never hear of how sinful the love of money can be. This love and service of money can take many forms and all are sinful. One of these is cheating on taxes which is theft. Theft is serving the false god of money for it is not trusting God to supply all our needs as promised by our Lord Jesus. The final offense against this section of scripture is teaching that obeying it will sure up your salvation. This misuse will both offend the sinner in making one trust in working for his salvation. It may also offend the person in not giving the comfort of the Gospel and leave the person in terror of his or her lack of ability to obey. The true teaching is that Jesus fully obeyed this command for us and we receive his righteousness by faith. The use, therefore, of the law in the Christian Church is the accusation of the sinner. This is in order to grant true repentance and trust in the finished work of Jesus. In his death burial and resurrection he provides the full payment for sin and righteousness we receive by faith.